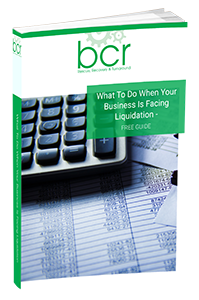 The following is an example of BCR’s specialist knowledge of member voluntary liquidation, also known as solvent liquidation. The directors had sold the core business in order to start a new venture. Having taken advice they decided to use an MVL in order to extract the assets of the company in a tax efficient way – instead of drawing dividends / salary and getting hit by a large tax bill. The only asset to realise was cash at the bank. In addition, all final returns to HM Revenue & Customs had been submitted up to cessation of trade. On the same day as receiving cleared funds from the company bank account, an interim distribution was made to members leaving enough in the pot for creditors’ claims and the costs of the procedure. Following the completion of all statutory requirements, administering and settling of creditors’ claims, the final balance was paid to members. The process was complete within 5 months. This liquidation could have been wrapped up earlier however the bank delayed by seven weeks in closing the account and transferring the balance to the liquidator. The additional time costs incurred by the liquidator and his staff in pursuing the bank were recovered from the bank direct and not the members. The benefit of using BCR to administer their MVL was a speedy turnaround at a minimal cost. The individual members also benefited as a result of obtaining Entrepreneurs Relief, therefore reducing their personal tax liability considerably. Thanks for all your help throughout – we’ve been very impressed.